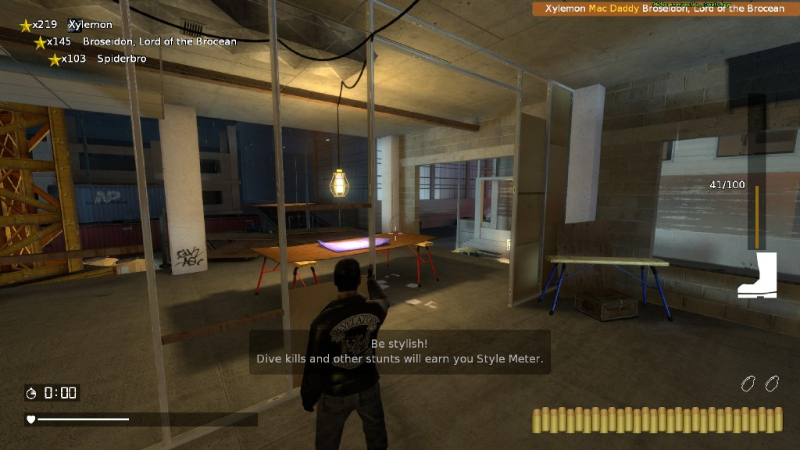 Double Action is a free multiplayer game. Dive, flip, shoot, and slide your way into 90's action movie style mayhem. All of the gameplay elements are purposefully extreme and dramatic, with plenty of excessive gunfire and explosions to keep things interesting. 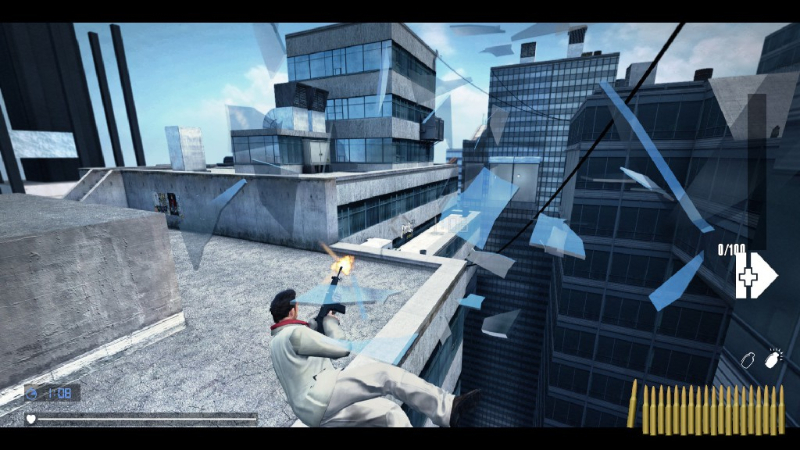 Action-Packed Gameplay:The action in Double Action Boogaloo is fat-paced and well over-the-top. Everything is taken straight from the 90's, with classy one-liners, diving gun fights, and even helicopters. Things are meant to be a bit crazy and fast-paced. Try to keep up! 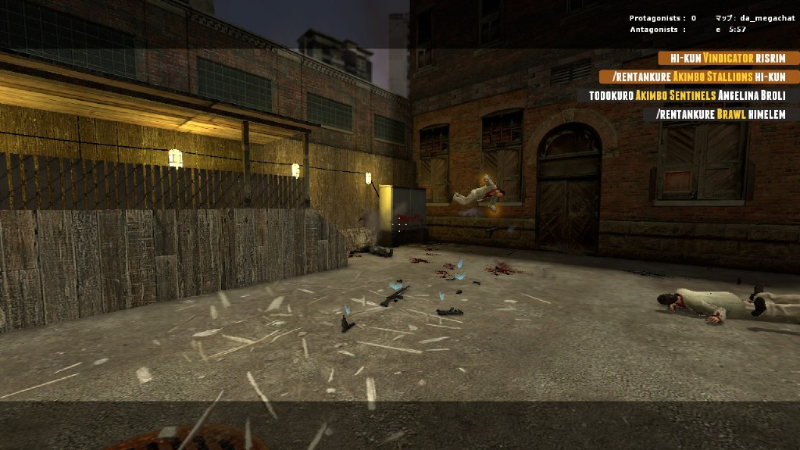 Steam Multiplayer: Jump straight into the action using Steam supported multiplayer. Start up games with your friends, local or distant, or jump into a game with strangers. 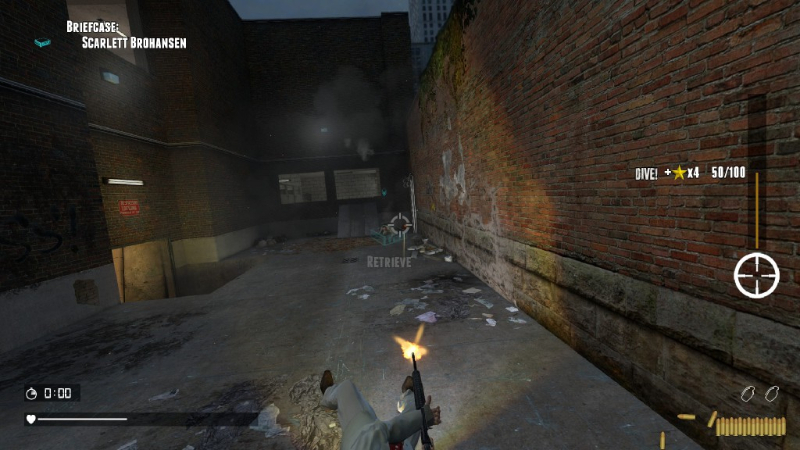 The game receives regular, full support from the development team, to make Double Action the most pick-up-and-play friendly multiplayer game possible. VR Support: The game is designed for full support of Oculus Rift and other comparable VR devices. Don't just dive off of a building while shooting at someone, dive off of a building while shooting someone, while completely immersed in the fact that you're falling to your death! Level Editor: The level editor means that enterprising players will be able to take full advantage of the game's potential by designing limitless numbers of new arenas and features. Want to try your hand at crafting the perfect murder playground? Go for it. The level editor, like the game itself, is completely free. 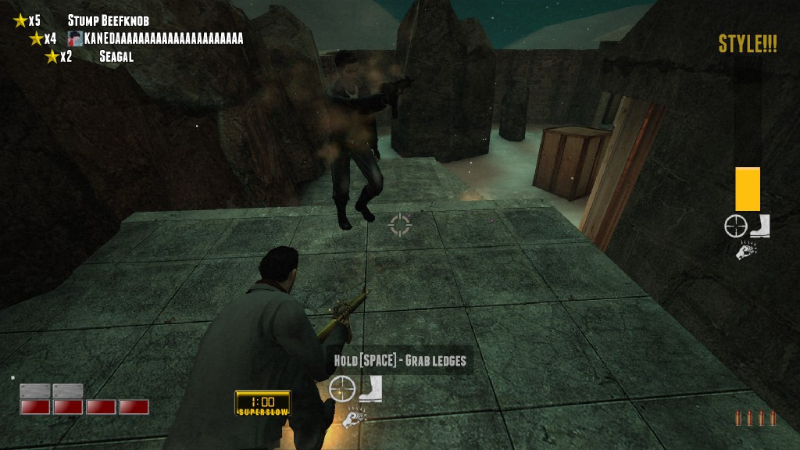 This video features extensive gameplay footage from Double Action Boogaloo. There are plenty of explosions, environments, and gunshots.